Congratulations to Mitali Perkins whose wonderful Tiger Boy (Charlesbridge, 2015 / Duckbill Books, 2015) has garnered another award (well, I said it should win plenty in my review!) – this time the 2016 South Asia Book Award (US), which is shared with Dear Mrs. Naidu by Mathangi Subramanian (Young Zubaan, an imprint of Zubaan Publishers). I have yet to read Dear Mrs Naidu – and indeed several of these books&hellip: My to-be-read list has just got even longer. 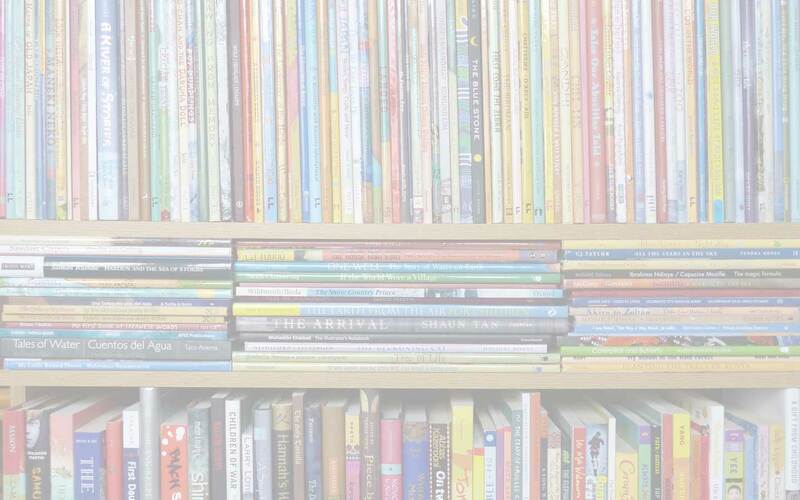 It’s also great to see several Indian publishers represented among the winners – Duckbill, Tara Books, Tulika and Young Zubaan – as well as the equally wonderful Cinco Puntos Press. The 2016 South Asia Book Award ceremony will be held in Washington, D.C. in conjunction with the National Council for the Social Studies (NCSS) Convention – December 2-4, 2016. Tiger Boy written by Mitali Perkins, illustrated by Jamie Hogan (Charlesbridge, 2015). A gripping and heartfelt tale of a young boy’s love for, and sense of responsibility towards, his island home in the Sunderbands of West Bengal and the wildlife that shares it with him. Universal concerns of conservation, equal education, and economic inequality are seamlessly intertwined with the narrative of Neel’s daily life and his adventure with a tiger cub. (Grades 3-6). Check out the Discussion and Activity Guide for Tiger Boy developed by Charlesbridge. Visit Mitali Perkins website to read more about Tiger Boy and other titles by the author. Bhimrao Ambedkar: The Boy Who Asked Why written by Sowmya Rajendran, illustrated by Satwik Gade (Tulika Publishers, 2015). Young Bhimaro does not understand why he is not allowed to sit at a school desk or drink from the same water tap as the other children. His search for answers to all his “whys” leads him on a quest that eventually leads becoming the first Law Minster in India and a writer of the country’s Constitution. Beautiful and vibrant illustrations bring to life the story of one of India’s most important social justice fighters. (Grades K-3). Visit Tulika Publishers to order copies of The Boy Who Asked Why! The Boy Who Speaks in Numbers written by Mike Masilami, illustrated by Matthew Frame (Tara Books, 2015). An unnamed boy, obsessed with numbers, must not only navigate war torn Sri Lanka, but also the cast of characters and talking animals occupying the refugee camp where he lives. At the heart of this fantastical and often humorous tale is a story about resistance and dealing with the tragedy of a country ripped apart by civil war. The amazing illustrations are dark and rough, which expertly reflect the horrors of the story. (Grades 8 and up). Visit Tara Books to order copies of The Boy Who Speaks in Numbers! Razia and the Pesky Presents written by Natasha Sharma, illustrated by Priya Kuriyan (Duckbill Books, 2015). Hilariously encapturing the frustrations of being a female ruler in the thirteenth century (not as different from today as you might imagine! ), this tale bubbles with sly humor, rhythmic rhymes, and a fascinating cast of caricatured characters who are as comical in the exaggerated illustrations as they are in the narrative. (Grades 2-4). Visit Duckbill Books to order copies of Razia and the Pesky Presents! The South Asia National Outreach Consortium (SANOC) is the sponsor of the South Asia Book Award. SANOCs mission is to enhance K-16 Outreach Programming by building a stronger network and collaboration among the South Asia National Resource Centers, and institutions with South Asia programming, across the United States. The SANOC initiative started in 2003 and was formally established in 2009 to address the NRC Invitational Priority 1 for the 2010-2013 grant cycles, which encourages collaborative programs among the Title VI centers. We also look to partner with other institutions of higher learning. The national network will work to share information and resources on South Asia, incorporating South Asia content into school curricula, and promoting the resources, workshops, conferences, and educational programs at the South Asia centers. 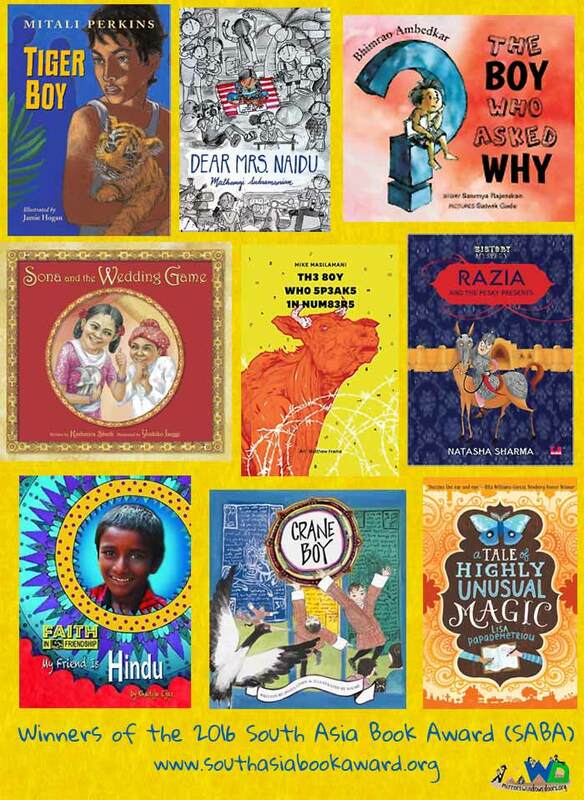 A Tale of Highly Unusual Magic, Bhimrao Ambedkar: The Boy Who Asked Why, Charlesbridge Publishing, Cinco Puntos Press, Crane Boy, Dear Mrs. Naidu, Diana Cohn, Duckbill (India), HarperCollins, Jamie Hogan, Kashmira Sheth, Khadija Ejaz, Lisa Papademetriou, Mathangi Subramanian, Matthew Frame, Mike Masilami, Mitali Perkins, My Friend is Hindu, Natasha Sharma, Peachtree Publishers, Priya Kuriyan, Purple Toad Publishing, Razia and the Pesky Presents, Satwik Gade, Sona and the Wedding Game, South Asian Book Award (SABA), Sowmya Rajendran, Tara Books, The Boy Who Speaks in Numbers, Tiger Boy, Tulika Books, Yoshiko Jaeggi, Youme, Young Zubaan. Bookmark. These are all pretty new to me, but I will be adding them to my list of South Asia books. When I did my posts for Asian Pacific American Heritage Month, I had a hard time finding very many books for it written by people who came from or are descended from relatives who came to this country. Thanks for sharing these. I have definitely pinned this list to reference later. Thank you for putting it together! Oh wow, Katie – that’s so exciting! I wish I could have been there too!